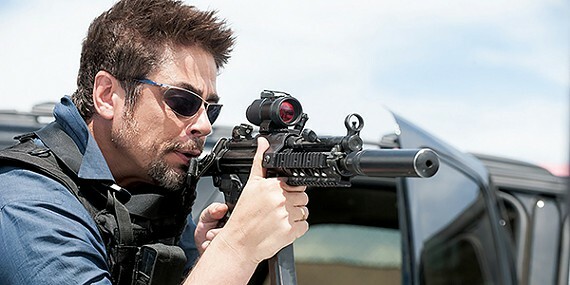 Sicario – Did You See That One? When FBI agent Kate Mercer (Blunt) is recruited into a special task force she begins to see the reality of the drug world in Mexico. 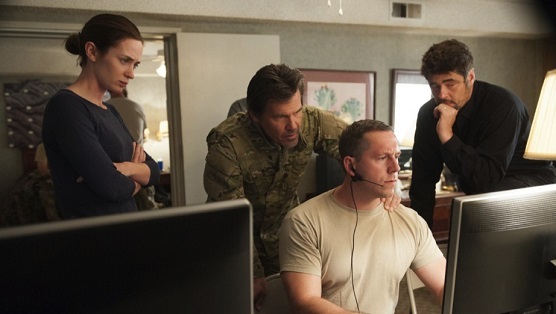 With Matt Graver (Brolin) leading the team, Mercer embarks on a journey that takes her deep into the drug war on the border. This crime drama was written by Taylor Sheridan, a writer best known for his work on Sons of Anarchy. French-Canadian Denis Villeneuve (Enemy) directed the film. The movie stars Emily Blunt (Looper), Josh Brolin (No Country for Old Men), Benicio Del Toro (21 Grams), and Victor Garber (Argo). This story takes a unique approach in addressing the realities of the drug war being fought on both sides of the United States/Mexican border. The film starts with a bang, and immediately illuminates the reality of the violent drug business. The characters in the story all have unique traits that play well off one another. The dialogue in the film is limited at the right moments, allowing the tone of the film to settle in. The visuals also speak volumes, and the writing understands when that is enough. Overall, this one does a nice job of twisting the story at the right times. It’s also nice to see a female lead in this kind of film that doesn’t need to be reminded that she’s a woman constantly. 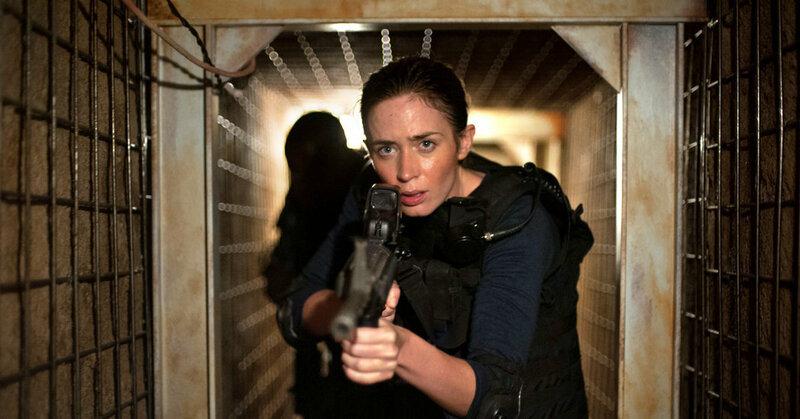 Emily Blunt does a really nice job anchoring this film. She’s a strong female lead, but little attention is drawn to her gender. Instead, she’s allowed to play on the same level as the men in the action moments of the film. She handles the physical and emotional moments of the film with a very strong and balanced performance. 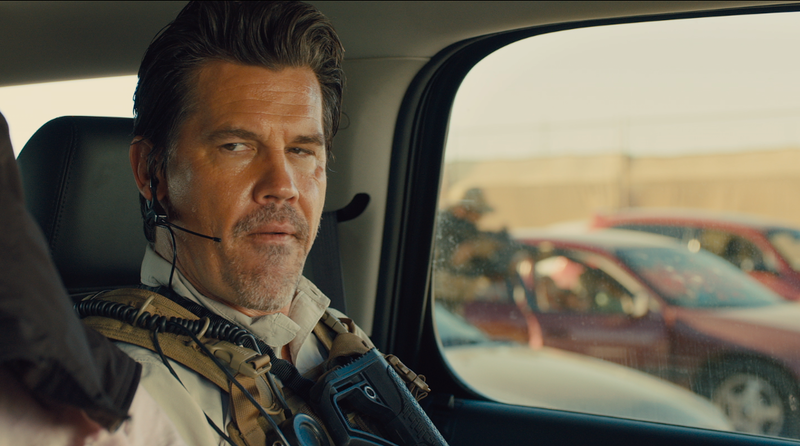 Josh Brolin also does a nice job with his role in this one. his character seemed to live in the shadows, and Brolin did a good job of letting him stay there. His performance works nicely as a counterweight to Blunt’s more genuine performance. The rest of the cast all do good work with their roles in this one. The movie’s authenticity hinged on the dozens of actors who bring this world to life. 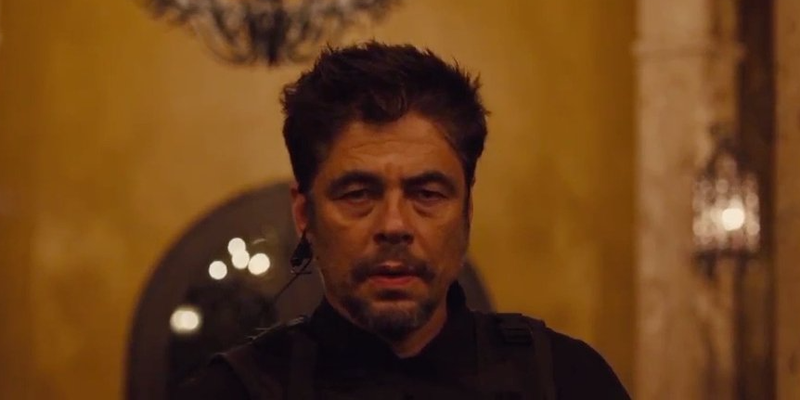 Perhaps the greatest aspect of this movie is the performance from Benicio Del Toro. Throughout the film his character remains on the sideline. There are only small hints of the true nature of the man. During these early moments Del Toro plays things low-key. Instead of trying to maximize his character’s personality he just goes along with the flow of the story. When he’s unleashed late in the film Del Toro puts the pedal to the metal and helps this one pay off in fantastic fashion. This performance really gives this movie something special. This movie looks good thanks to great set designs, locations, and camera work. 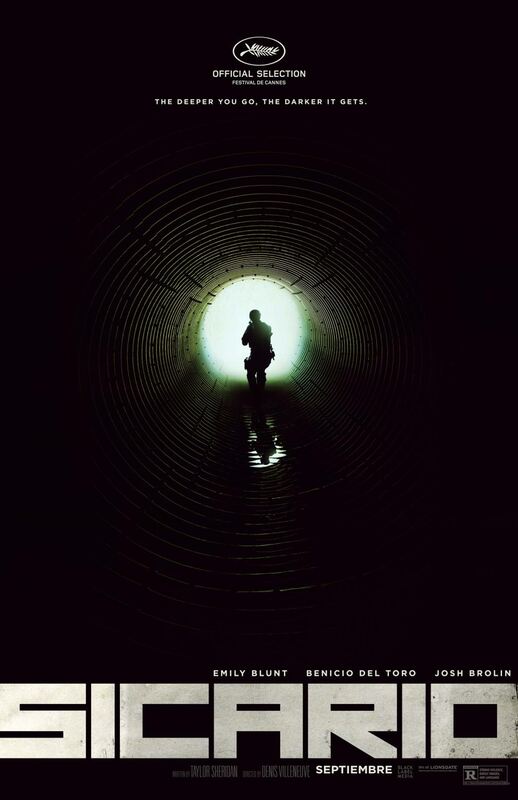 Cinematographer Roger Deakins (No Country for Old Men) does a great job giving this one the right visual tone. This one could’ve easily gotten bogged down, but the editing work helps this one keep a steady pace. The film also has a great score, composed by Jóhann Jóhannsson (The Theory of Everything). This movie brings a ton of great components together to produce an excellent crime drama. This movie might not be for everyone. The images of violence related to the drug war can be intense and disturbing at times. If you’re still on board you’re in for a treat. Fans of the stars will really enjoy this one. I would also recommend this to fans of films like 21 Grams or Traffic. I give this one 4.4 out of 5 stars. Pingback: Hail, Caesar! | Did You See That One?